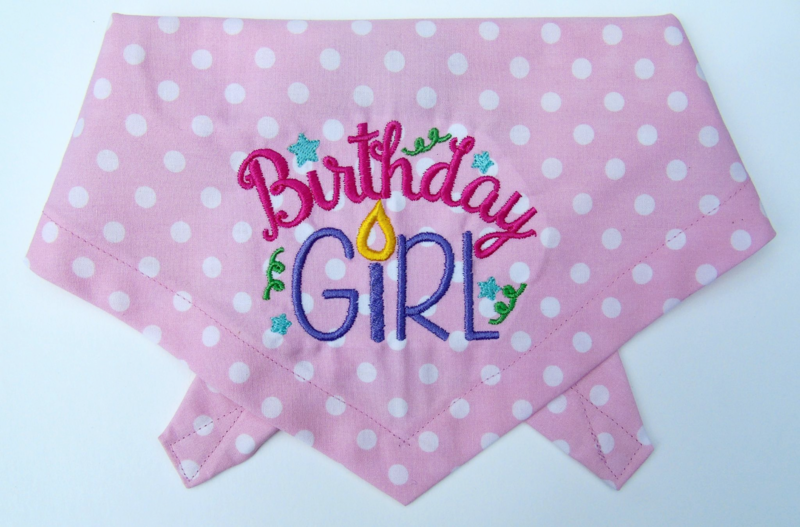 A beautiful Birthday Girl dog bandana, handmade from high quality, pale pink polka dot 100% cotton fabric. The embroidery is beautiful, using finest high quality embroidery threads. The embroidery area is the same whatever the bandana size, so this design isn't suitable for Teeny Tiny bandanas.